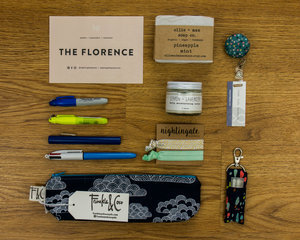 Have you seen the latest trend of subscription boxes? I am swooning over a few, especially the ones created with us nurses in mind. This could be a serious problem for my wallet...or maybe not. I'm thinking upcoming birthday presents. 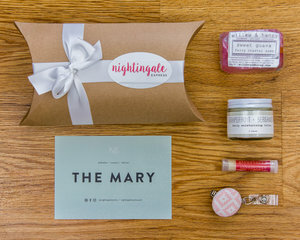 I've been eyeing one company on Instagram, Nightingale Express, and am so excited that they just launched! I am particularly interested in her boxes because she only selects items that are handmade in the U.S.A and her boxes are made to order. That means no waiting for the beginning of the month! I was able to get in-touch with the nurse behind the company and pick her brain. Everyone meet Aishleen, a travel nurse with over four years of pediatric cardiac critical care experience. 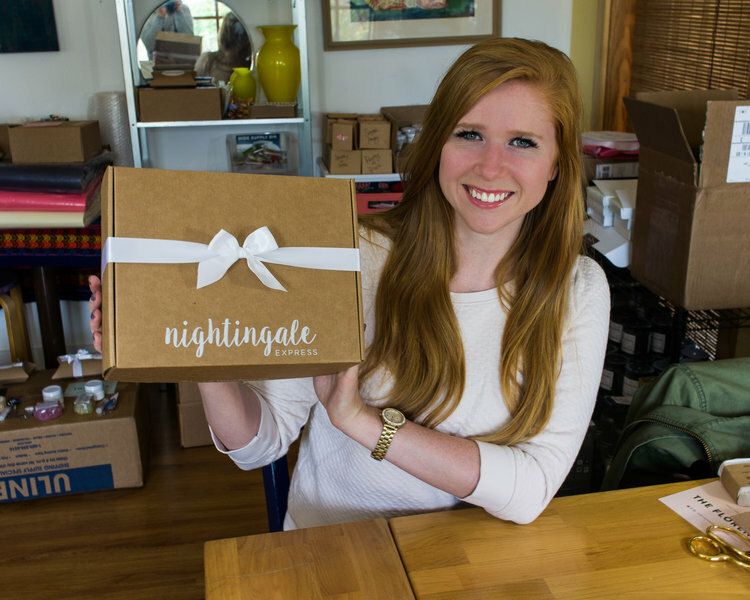 She created NightingaleExpress.com in hopes of fostering a nurturing and supportive nursing community. Tell me a little about the type of nurse you are. What made you become a travel nurse? I’m a pediatric cardiac ICU nurse. I started my career in the cardiac ICU at Children’s Hospital of Wisconsin. After two and a half years there I decided to take the plunge into travel nursing. I love to travel and experience new places. Travel nursing is such a rare and exciting path that many careers don’t offer. I’m currently on my fifth travel assignment in Seattle, WA. It’s been great to experience so many different environments but definitely a challenge at times! It absolutely helps nurses give into their wanderlust spirits while simultaneously finding where they might want to end up. I love it! 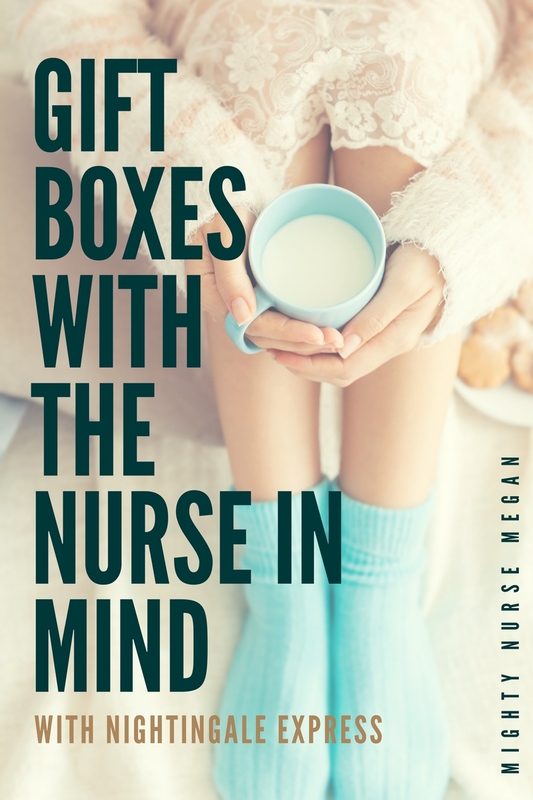 What made you develop the idea of gift boxes for nurses? I decided to start Nightingale Express while chatting with my brother about how little there is for nurses that’s trendy, high quality, timeless… As I mention on the website, whenever people have asked me about what to get for a family member, friend, caregiver- who are nurses, most gifts are cheesy and kitschy. With nursing being such a rapidly growing field- with so many nurses that rarely practice self-care over caring for others, I saw an opportunity to celebrate and pamper my fellow nurse. Your website mentions that products found in the boxes will support local communities and all are made in the U.S.A.. What kind of items can we expect? Will you be able to select what goes in the gift basket or will they be pre-assigned? We will be launching with four different gift boxes. I have created each one to be cohesive and to fit different nurses or occasions! After the launch of these four- we are hoping to feature a special edition box each season. What is one thing you learned from starting a business? What is one thing that you have loved thus far? Starting a business has been an amazing learning experience. I have learned not to be afraid to reach out and ask for help when I need questions answered. It hasn’t been easy and I’m sure there will be many more bumps along the way; however, taking the leap and pursuing my idea has been super gratifying. So far I have LOVED trying so many different, amazing products, and piecing them together in order to pamper nurses everywhere! And lastly...who is your nurse role model and why? I don’t’ really have one nurse role model. I am impressed, inspired, and in awe of the nurses I work with across the country. That’s why I am so passionate about Nightingale Express and celebrating the field of nursing. Currently, Nightingale Express has five boxes featuring a different number of items in each. You can really tell that every item was carefully thought out. The Clara is named after Clara Barton, who is best known for founding the American Red Cross. Each gift box contains a namesake card detailing Barton's accomplishments. The Florence is named after Florence Nightingale, considered the mother of modern day nursing. 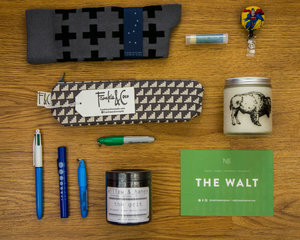 The Walt is named for Walt Whitman and curator for the male nurse in mind. Each box contains a namesake card detailing his time in the field of nursing, as well as an excerpt from his poem, "The Wound Dresser". The Mary is named after Mary Eliza Mahoney, the first African American registered nurse. NightingaleExpress.com will also be spotlighting some nurses on their blog. I love that Aishleen is passionate about encouraging, supporting, and lifting up nurses from around the world. 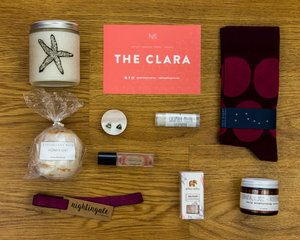 The Clara box is by far my favorite. The earrings are to die for and work appropriate! Which box is your favorite?